When Life Changes, How Does it Change You? Have you ever been blindsided by a life event or by your feelings about it? When a spouse or parent or child died, or when you retired or got divorced, or when you sold your business, were you confused and exhausted—on your best days? Did you have a tough time making decisions or even getting up in the morning and carrying on with the ordinary activities of your day? And did you have times like that even years after the event actually occurred? When I was younger and attending college in California, I decided to pursue a degree in drama. In fact, my senior thesis was entitled “The Economics of Nonprofit Theater.” In conducting research on that topic, however, I began to realize how difficult it would be to earn a comfortable living if I pursued a career in theater. The life and livelihood I was imagining slowly began to lose its luster. I had a hard time deciding what I wanted to do next. It was a time of transition for me as I phased out one career plan and began formulating another. During that time, I began working for a pension-consulting firm; it was there I found I had a knack for working with numbers. I was also becoming attracted to the profession my mother was working in: financial planning. There and then, I hatched a plan to join her small financial planning firm in Chicago. Today, Cicily Maton and I are still working together at The Planning Center. I had a few missteps, but eventually I found my true calling. Major life events—even when we know they’re coming—are pivotal times in our lives. We might not have any control over their occurrence or the timing of their occurrence, but we do have control over much of what happens next. We can choose the way we respond to the event, the type of guidance and support we seek out, and way we integrate the event into our lives. Do we let getting divorced define us, for example, or do we use getting divorced as an opportunity to redefine ourselves? There’s so much going in inside us and around us when we move through transitions, and there are many things that can go wrong and just as many that can go right. As with other parts of our lives, the more we know about what we’re up against, the greater the opportunity we have to make the most of it and thrive. 2. 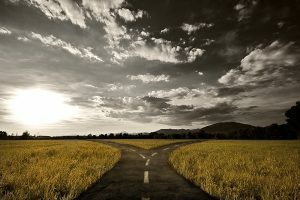 Sometimes the best decision is no decision, and sometimes a decision must be made. There is no substitute for skillful guidance at those times. 3. 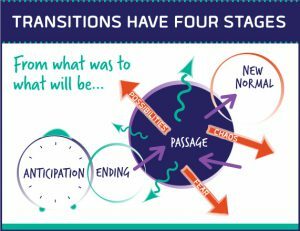 Each individual moves through the stages of transition in their own time and in their own way. Change takes years to adapt to, largely because it involves grieving. Whether we are talking about the loss of a person, a relationship, or a part of our identity, there is grief. And that grief needs to be honored. 4. Most people want to move as quickly as possible through their transitions, but my advice is always to resist the urge to rush. When you hurry through whatever thoughts and feelings you have about an event and you don’t take the time to sit with them and process them, they don’t go away. At least not forever. Life changes. How you let it change you is up to you. 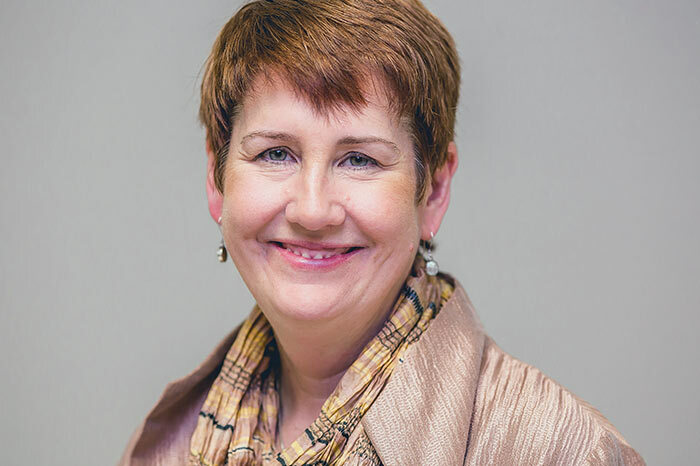 Michelle Maton, CFP® is a Partner and Senior Financial Planner in the Chicago office of The Planning Center, a fee-only financial planning and wealth management firm. Please email her at: michelle@theplanningcenter.com.